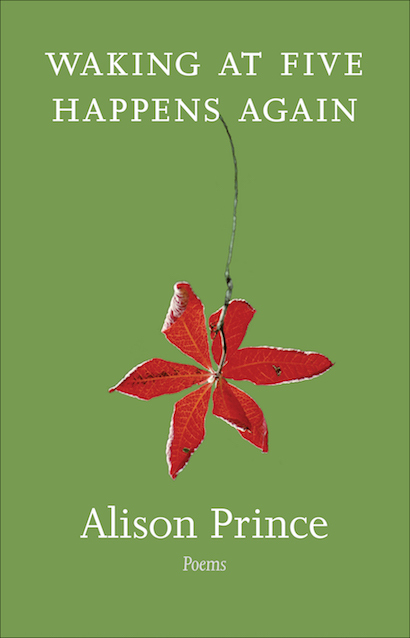 Alison Prince originally trained as an artist, then went on to be an art teacher, a farmer, a BBC script writer, and later the author of more than 50 books for young readers, winning the Guardian Children’s Fiction prize and an SAC Children’s Book of the Year Award along the way. In the late 1960s, she scripted the much-loved Trumpton TV series. And there's more. She has also written authoritative biographies of Hans Christian Andersen and Kenneth Grahame. In 1992, a Fellowship in Creative Writing at Jordanhill College led to The Necessary Goat, a ground-breaking book of essays on formative thinking. Meanwhile, there have also been some cracking poems. Her pamphlet The Whifflet Train was runner-up in the Callum Macdonald Memorial Award 2003. She has even twice won the Literary Review’s Grand Poetry Prize. 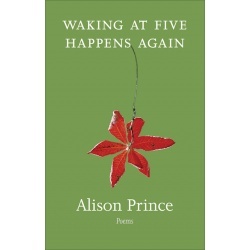 Published by both Mariscat Press and HappenStance, working together to celebrate a terrific poet, Waking at Five is Alison's first full poetry collection. It's a life-time of a book. Go back to the flower place. Where is the flower place? discarding the mind’s protective skin.